Is a website building process a real headache for you? If you have not yet run a digital presence for your business project because you’re not sure from what to start. It’s high time to opt for premium HTML templates which provide an extensive package of tools and options for creating a powerful site in a short period of time. It’s a great chance to save money because a custom design will cost you an arm and a leg. Having bought a premium HTML template, you achieve a comprehensive set of tools and features for less than $100. 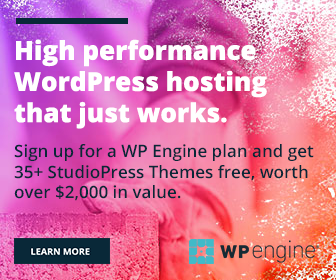 As a rule, such a purchase includes a set of first-class plugins for nothing. Building an online project can take a lot of precious time while using a template will help you save time. Thanks to a valid, clean, well-documented code, it’s possible to set up a powerful site in a day. TemplateMonster provides customers with a long-term qualified 24/7 support. In case you have any troubles with your HTML template (installation, customization, managing, etc. ), you can get online help via live chat system. Unlimited customization options allow website owners to craft a professionally looking and impeccably functioning online platform for any business needs – e-commerce, blogging, informative site, etc. Nowadays every business needs to develop a website because it’s a great opportunity to promote a product or service on the web. With a solid online presence, you won’t have difficulty with showcasing your portfolio, selling products, and generating more leads for your company. Take a closer look at 10 impressively designed HTML templates which are ready to serve as fully-fledged platform for the site building process. 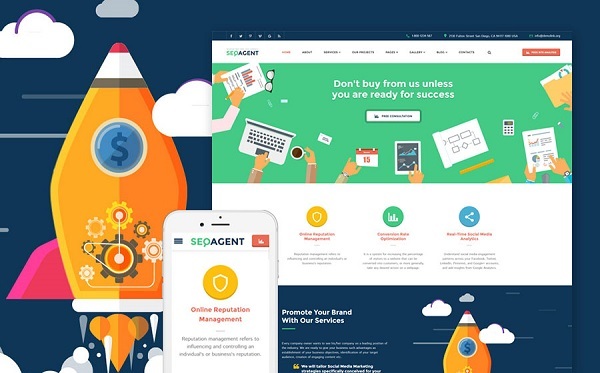 Whatever business area you have, SeoAgent will provide you with a huge set of necessary UI elements and blocks to cater to the needs of your specific niche. For $72 only, you achieve over 50 amazing HTML5 pages, multiple header/footer styles, and many more. a well-written and search engine optimized code. With Ready PRO template, to create web panels won’t take a lot of time and much effort. 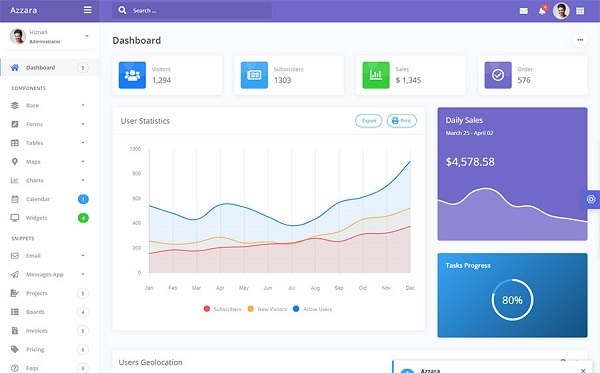 Including a comprehensive set of usable plugins, this Bootstrap-based layout will help you build a dashboard with excellent performance. perfectly fitting all modern devices. 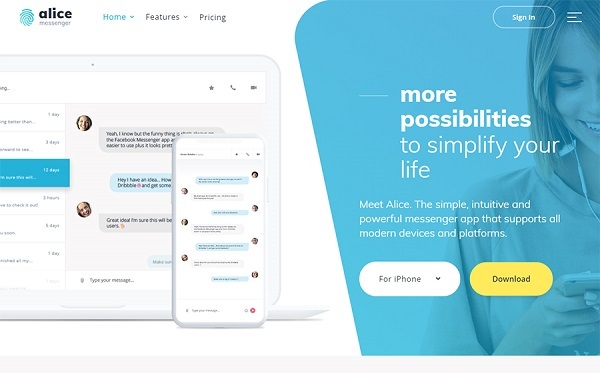 Alice is a clean and user-friendly application template with a pack of truly impressive features. Thanks to a valid code and accurate documentation, everyone can set up an admin panel for any application. compatible with the both desktops and mobiles. With Daffy, you can create a feature-rich, easy-to-customize admin dashboard. As the template includes an awesome package of UI components, it can be adapted up to your needs without effort. 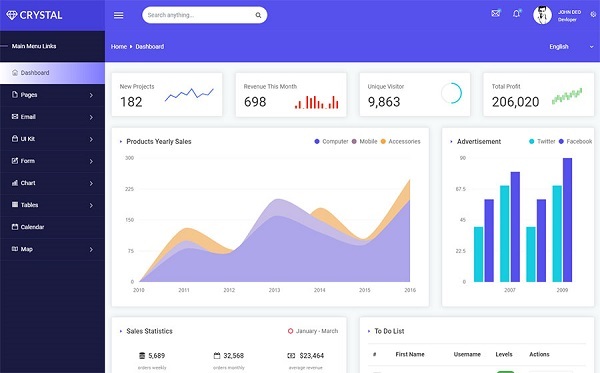 This multiuse admin panel template will come in handy those who want to enhance their project with an impeccably functioning dashboard. easy to manage and navigate. 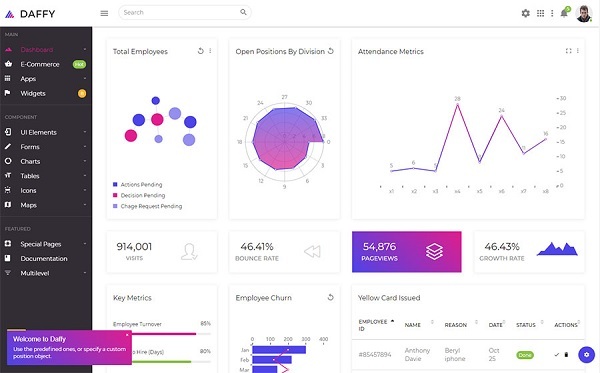 Alongside gorgeous design and exciting opportunities, Chameleon boasts an exhaustive kit of tools and the necessary components for building a powerful dashboard. 3 demos for different menu styles. This template gives free rein to your imagination due to advanced functionality and outstanding design. Brave Light was created in accordance with the modern standards. great performance and fast-loading pages. 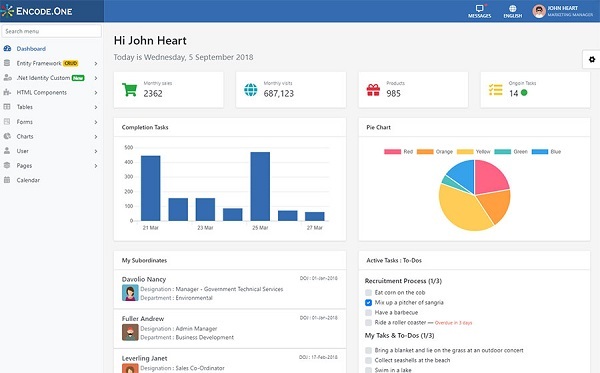 Welcome to one of the most affordable and feature-rich solutions for creating a solid admin panel or management system. a comprehensive pack of tables, charts, maps, etc. 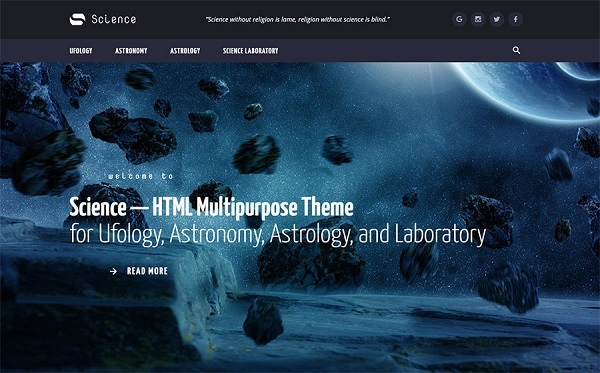 If you’re looking for a feature-rich and sleek looking solution for your science-related online project, this multipurpose template is worth your attention. It comes with a plethora of outstanding features and usable components for effective customization. a comfortable navigation with a dropdown menu functionality. 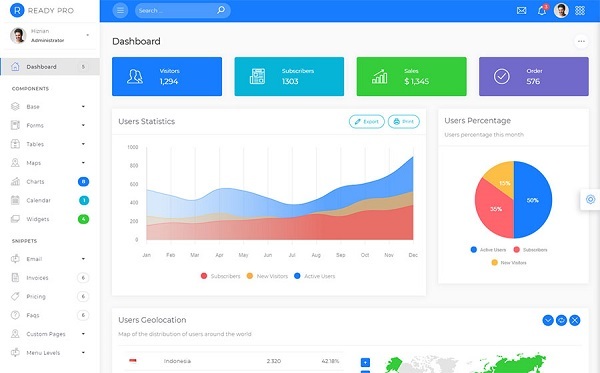 Azzara is an all-winning solution for those, who need a handy, smooth, and responsive admin panel. 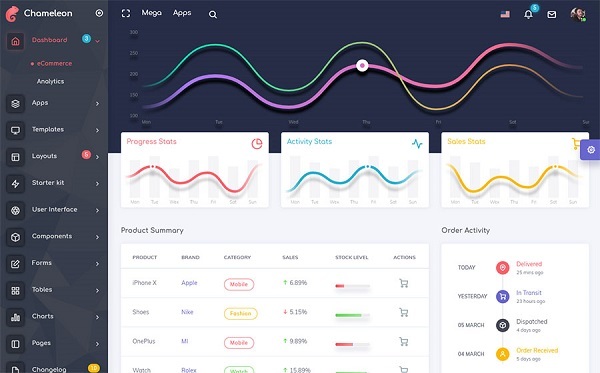 This Bootstrap-powered template features a number of customizable elements and a comprehensive collection of necessary plugins included for free. TemplateMonster marketplace offers an outstanding set of templates for all tastes and business needs. 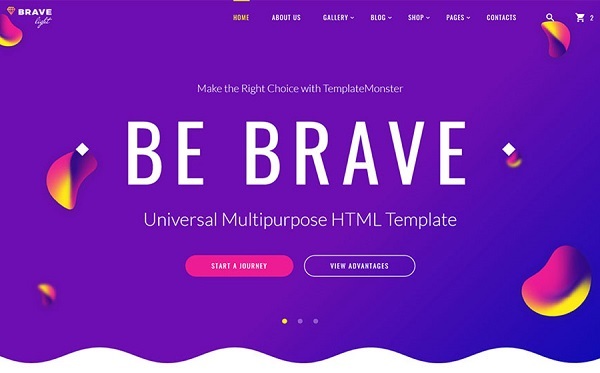 If you need to run an app or website for your online venture, you can choose one of these handpicked HTML templates and make your dream true fast and easy. You won’t need to pay extra money for a custom design. For an affordable price, your achieve so-called all-inclusive platform for building an effective online presence.